APCI 22,200 SCFH @ 95% O2. 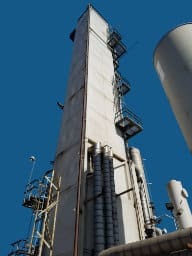 Why own an Air Separation Unit (ASU)? 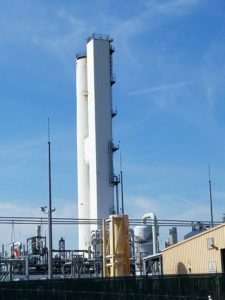 What is an Air Separation Unit (ASU)? 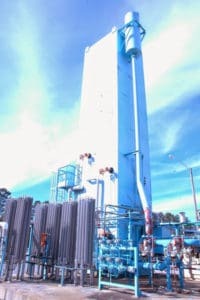 Since 1987, Ranch Cryogenics, Inc. (RCI) has served the needs of industrial gases users and producers worldwide. Our mission is to display experience and reliability in everything we do. RCI Mechanical provides pipe and equipment skid fabrication utilizing our mechanical and shop facilities in Dwight, Illinois. RCI maintains a staff of qualified and certified pipe fitters, welders for Carbon Steel, Stainless Steel and Aluminum TIG and MIG. 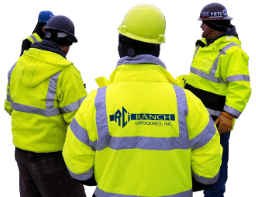 Ranch Cryogenics, Inc. began in 1987 when Mike Duffy, Sr.decided to strike out on his own after a long career which began in Milwaukee WI. in 1966.
gas producers to decrease costs and increase product supply reliability. and qualified team to reach your project goals. © 2019 Ranch Cryogenics, Inc. . All Rights Reserved. Sign-up for our Mailing List to stay up to date on the latest RCI news, available equipment, and more!